Which Countries Have the Biggest Drug Problems? Drug addiction knows no borders. It affects all corners of the world and is exacerbated by the availability of prescription medication, which serves as a gateway for many people to enter the dangerous world of drug abuse. The abuse of opioid pain medications has led to the rise of heroin abuse. 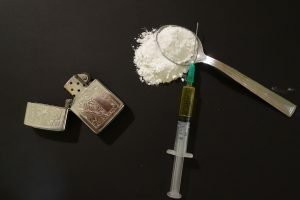 In other countries, harder drugs have become more prevalent and can often be easily accessed through drug dealers in low-income communities. While drug abuse is a worldwide phenomenon, some countries have an allegedly bigger drug problem than others. New Zealand has the most people per capita under treatment for drug abuse. This is a clear sign that the drug problem in the country is significant, although the high number of people undergoing treatment is also a sign that the government is doing something to solve the problem. Next in the line-up is Iceland. Iceland is often thought of as one of the happiest countries on earth, but there’s a serious drug problem gathering steam in the country. Iceland has the highest per capita incidence of drug overdoses in the world. Russia ranks number three in the world among top drug abusing countries. It scores low for the use of hard drugs, but no country can beat Russia when it comes to alcohol consumption, which is categorized as a type of drug abuse. The country also ranks high in the use of opiates and non-prescription opioids. Scotland has the highest number of cocaine users. This surprises many people who might guess that the dubious honor belongs to a South American country with a large drug cartel presence. Brazil, which hosted the 2016 Summer Olympics, is also known for significant drug abuse. Cocaine, however, is not the drug of choice for most Brazilians. They prefer Oxi, the home-brew mix of cocaine and kerosene. It has hallucinogenic properties and can be acquired for cheap. While many countries are innovating new solutions for the age-old drug abuse problem, there is still a great deal of work to be done to eradicate this destructive pandemic. Detoxification Products > detoxification > Which Countries Have the Biggest Drug Problems?